Planning for collections care and conservation is at the heart of my activities. The public needs to have access to its heritage now and also be assured that this is being preserved for future generations. I can carry out the project management of all aspects and skilled professionals to develop a development plan encompassing buildings, collections, activities and finance in order to provide an excellent public service. 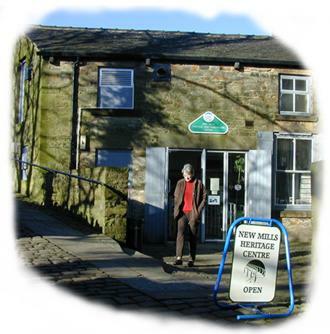 The Heritage Centre in New Mills, Derbyshire, is under the auspices of the Town Council and is a largely volunteer run museum. It aims to provide information to residents and visitors, by collecting and exhibiting objects of the area. Velson Horie has been the Curatorial Advisor to the Management Committee since 1998, contributing to the Centre’s development and two successful applications for Registration. This has involved guiding the volunteers in creating policies for various activities, developing stores, conservation plans, and care for the collections. 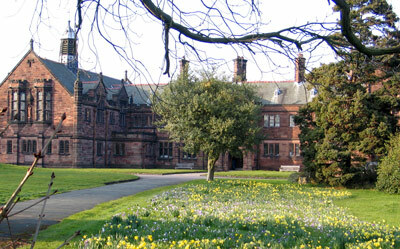 St Deiniol's is the UK's finest residential library and one of the top small conference destinations in North Wales, founded in 1894 by William Ewart Gladstone. As part of its on-going planning for the future, St Deiniol’s attracted £50k project funding from the Heritage Lottery Fund and other supporters, for a feasibility study of the re-development of the library. Velson Horie carried out data gathering and options appraisal for planning physical and organisational changes to the library over 1 year. This involved: appointing specialist consultants; building links with stakeholders; appraising the information gathered; presenting periodic reports then summarising the viable options for decision. Evaluating collections in institutions, regions or internationally provides insights into their state, needs, staff requirements and potential for use. This study needs to be carried out early in any conservation planning in order to identify the issues, some of which may emerge only during this initial phase. The results inform decisions about storage strategies, research priorities, space planning, budgeting and user experiences. The graph below was part of a study to prioritise the care of natural science collections in the northwest of England at a time when there was a severe decline in the number of skilled staff. Lindow Man was discovered during peat extraction in a drained peat bog in Cheshire. Velson Horie carried out the lifting, support and storage of the remains, encased in its original peat. 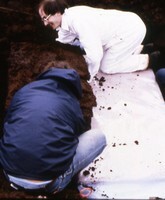 Subsequently, he oversaw the archaeological excavation of Lindow III, the next bog body discovered in the peat.